Whether your home is settling, aging, or showing signs of water damage, ceiling cracks can be a major concern for homeowners. 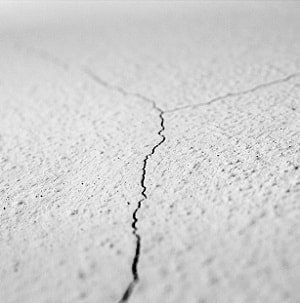 Not only are cracks unappealing to the eye, but they may also indicate a much larger problem such as foundation failure. Getting them inspected could prevent them from becoming worse over time and prevent your home from being damaged any further. At Jerry's Waterproofing, we can determine the cause of your ceiling cracks. We offer the most effective foundation repair methods to prevent spreading ceiling cracks in your Nebraska and Iowa home. Non-structural cracks are harmless. These types of cracks include spider web cracks and fine line cracks. They usually run throughout the home and along the edges of a ceiling, wall, floor, or slab. To repair ceiling cracks, we may use steel push piers by Earth Contact Products. Steel push piers are made to withstand heavy structural loads. 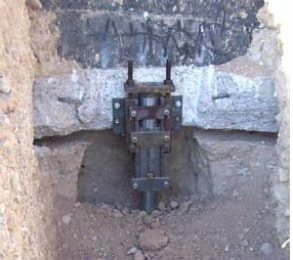 The piers are driven deep into the ground to support and stabilize settling foundations. They lift and support the foundation back to its original position without disrupting the work area. Steel piers will permanently prevent future ceiling cracks from recurring in your Iowa and Nebraska home. Regardless of what is causing your ceiling cracks, Jerry's Waterproofing has the skills and expertise to locate the problem. Don't ignore foundation issues. They are just a symptom of a much larger issue. Contact us today for quality, professional service in Nebraska and Iowa.